Innovation. Creativity. Transformation. It can all be applied to The Oregon Defense. The quote is not from Oregon. Sorry, but we’re not the innovators on defense. Gang Green is gone. How do the Ducks get back? 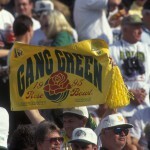 The 1994 “Gang Green” Oregon Ducks. The book, “Grow or Die: The Unifying Principle of Transformation” has a premise about organizations and organisms: You are not going to fight nature or skip very many growth processes to become vital. No quick fix, no skipping growth phases. Phase one is experimentation. (George Land’s landmark book had been published in 1973, nominated for a National Book Award and a Pulitzer Prize. He assumes creativity and innovation are both natural and a necessary part of life. He has lots of data to back that up). When it comes to the Oregon defense, we skip the experimentation phase (not so on offense schemes, or facilities, by the way). 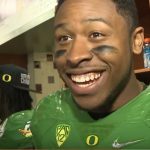 Today, we like to “recycle defensive schemes and techniques,” instead of creating the next transformation phase for the 2023 Oregon defense in the Pac-12. Innovation in defense is occurring elsewhere. Inspired thinking — building defensive team leadership. What innovative defensive capability are we going to build to inspire “next-level” player leadership? Recycling schemes will get us started on recovery, but may not lead to innovative play action that will permanently benefit our coaches and recruits as they cycle through the program. Media attention is paid to coaches telling a player (Royce, Troy or Justin) to be more vocal, be a leader. It’s not that simple: key players need a personalized training plan for leadership development focused on defensive scheme execution. The Ducks need to train for a scheme where the way we use linebackers to contain the pocket will get us sacks or an interception a high percentage of the time. 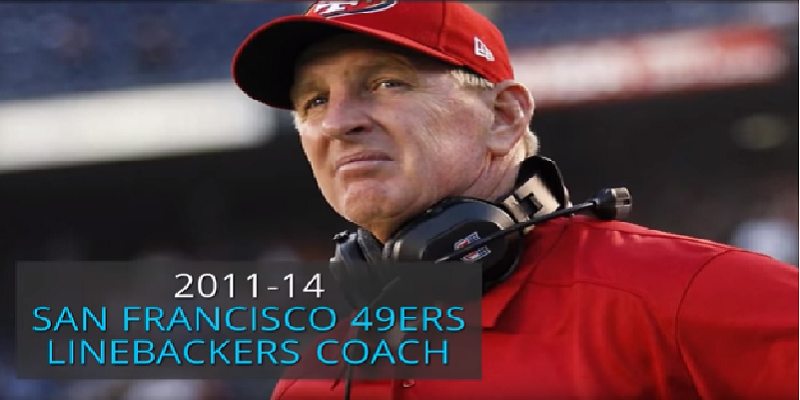 The coaches must specify what the leaders need to do on the play and how to prepare for it. On offense, we have schemes that inspire our players to lead and player skills match up with them. How we grow future defensive schemes and energetic leadership in defensive players will be a long term challenge. Are we doing all we can? Do we have a road map? After many decades of the Oregon football program, we still seem to be guessing about what works on defense. (Props to Nick Aliotti, who once got us started in continuous defense innovation). I see in the media that our (Natty) competitors are planning for their future defense. The 2016 season defense performance should never have been allowed to happen: all the bad signs were there, leading toward decay. This season we are recycling schemes, again. Call the scheme what you want, 3-4, 4-3, 46 defense, it’s recycled not innovative. Hopefully this first step will get us to adapt to some championship winning plays. Until we innovate on defense schemes, we can stall out on the growth curve many more times. While coaches prepare for game wins this season, we can find the full-time thinkers, the innovators who say “we can shut out any offense in the country.” Then the thinking is right — put them to work full time on innovative schemes. (Nick Saban’s large “analyst” staff for a reference point. The new Texas coach Tom Herman recently expressed his plan for an “army” of analysts). We need to really experiment on building defensive leadership teams that transform what we believe and how we compete leading up to Pac-12 in 2023. Plan to use all avenues next year, developing a “unifying principle of transformation” of new schemes and behaviors. In recovery or turnaround situations like the 2017 season, you’re starting from a bad place and not focused on innovation. 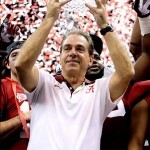 Next year we can find those defensive play sets that win you a national championship. Defense wins championships. For the future we need to innovate. Do our defense schemes scare anyone? 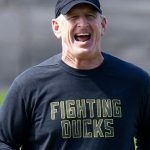 Praise to Jim Leavitt for taking on the long-term challenge at Oregon. We can show him defense matters to all of us! The George Land book refers to an entire lifetime cycle (whether an organism, person or organization). Our program needs a lasting defensive culture built on the ideas of transformation. We are loyal to coach Taggart, and we can be hopeful about the Oregon defense of the future as long as innovation remains at the permanent core of the program. The new arms race in college football is for analytical staff. Look out for my future article on that. Create, innovate and transform, the Oregon defense.